The Fa La La Lead. 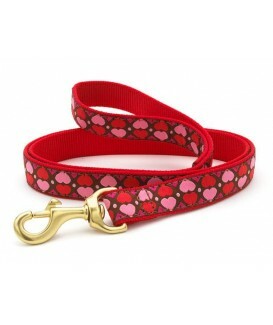 Your pup will look so festive walking with one of these holiday leads. Our Standard Leads are made with solid brass hardware and high tensile strength nylon webbing that will hold dogs up to 120 pounds. Available in 1 inch widths, these leads match all Up Country collar styles. Available 6 foot lengths. Machine wash cold on gentle cycle. Air dry. As always, satisfaction is guaranteed. Proudly made in the U.S.A. The Candy Cane Lead. 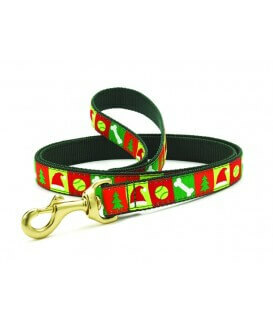 Your pup will look so festive walking with one of these holiday leads. Our Standard Leads are made with solid brass hardware and high tensile strength nylon webbing that will hold dogs up to 120 pounds. Available in 1 inch widths, these leads match all Up Country collar styles. Available 6 foot lengths. Machine wash cold on gentle cycle. Air dry. As always, satisfaction is guaranteed. Proudly made in the U.S.A. The Christmas Bone Lead. 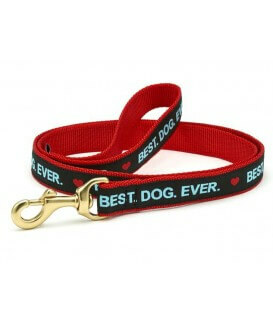 Your pup will look so festive walking with one of these holiday leads. Our Standard Leads are made with solid brass hardware and high tensile strength nylon webbing that will hold dogs up to 120 pounds. 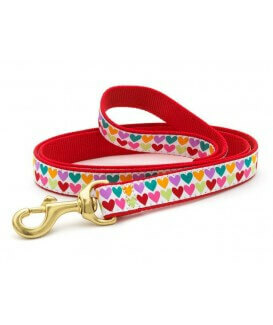 Available in 1 inch widths, these leads match all Up Country collar styles. Available 6 foot lengths. Machine wash cold on gentle cycle. Air dry. As always, satisfaction is guaranteed. Proudly made in the U.S.A. 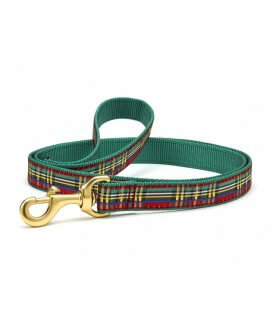 The Christmas Sparkle Plaid Lead. 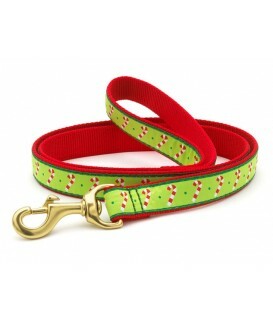 Your pup will look so festive walking with one of these holiday leads. Our Standard Leads are made with solid brass hardware and high tensile strength nylon webbing that will hold dogs up to 120 pounds. Available in 1 inch widths, these leads match all Up Country collar styles. Available 6 foot lengths. Machine wash cold on gentle cycle. Air dry. As always, satisfaction is guaranteed. Proudly made in the U.S.A. The Naughty and Nice Lead. 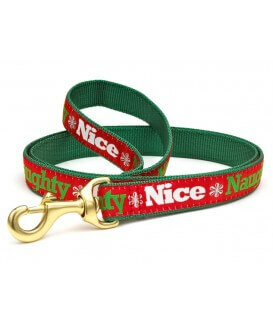 Your pup will look so festive walking with one of these holiday leashes. Our Standard Leads are made with solid brass hardware and high tensile strength nylon webbing that will hold dogs up to 120 pounds. Available in 1 inch widths, these leads match all Up Country collar styles. Available 6 foot lengths. Machine wash cold on gentle cycle. Air dry. As always, satisfaction is guaranteed. Proudly made in the U.S.A. 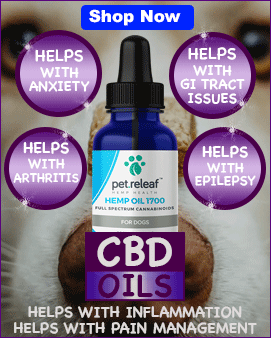 The wish list built into the leash. 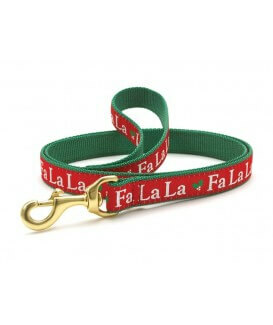 Your pup will look so festive walking with one of these holiday leads. Our Standard Leads are made with solid brass hardware and high tensile strength nylon webbing that will hold dogs up to 120 pounds. 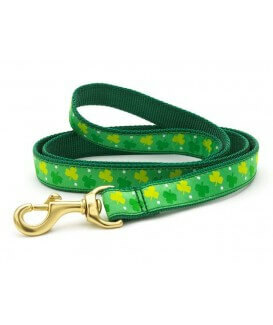 Available in 1 inch widths, these leads match all Up Country collar styles. Available 6 foot lengths. Machine wash cold on gentle cycle. Air dry. As always, satisfaction is guaranteed. Proudly made in the U.S.A.
Our Standard Leads are made with solid brass hardware and high tensile strength nylon webbing that will hold dogs up to 120 pounds. 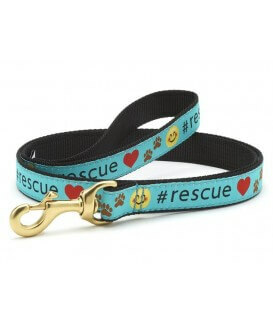 Available in 5/8 inch and 1 inch widths, these leads match all Up Country collar styles. Available in 4 and 6 foot lengths. 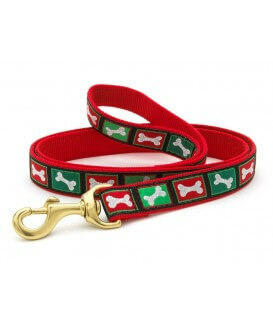 All Up Country leads have matching collars and harnesses to complete the Up Country look. Machine wash cold on gentle cycle. Air dry. As always, satisfaction is guaranteed. Proudly made in the U.S.A.
Sizes: Available in 5/8 inch (narrow) and 1 inch (wide) widths. 4 & 6 foot lengths. Our Standard Leads are made with solid brass hardware and high tensile strength nylon webbing that will hold dogs up to 120 pounds. Please check your lead regularly for wear and tear. Never use your Up Country lead to tie out your dog. Machine wash cold on gentle cycle. Air dry. As always, satisfaction is guaranteed. Proudly made in the U.S.A.